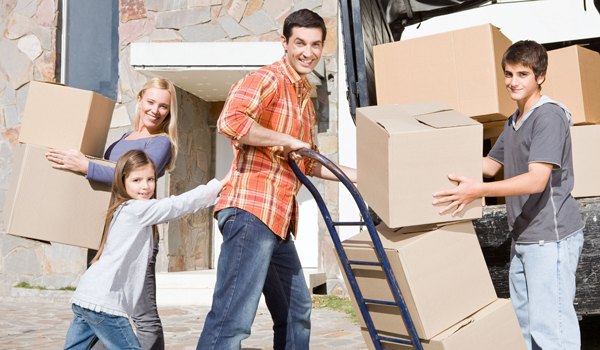 When it’s time to start planning your move to a new home, one of the first choices you need to make is how you plan to move. Moving to a different home is often much different than the experiences that you may have had earlier in your life. Going off to college or moving from your parents’ home into one of your own is typically a much less complex process than moves that come later on. Instead of moving your personal belongings to a new location, you will be moving your life and memories that you have collected along the way. Choosing the right movers means taking the time to get to know the moving company and deciding whether they can earn your trust. Who Will Be Handling Your Belongings? It takes more than brawn to make a good mover. You want the person who is handling your valuables to understand and care that your things are moved safely and securely. At Marrins’ Moving, each person working on the moving team has been highly vetted to ensure they have the characteristics to deliver superior service and support. When considering moving companies, ask how the company selects their employees and what steps they take to ensure your belongings will be handled professionally and with the same level of care they would get if they belonged to the movers. The bottom line is that basic moving services simply may not be enough. Many items call for white glove services to ensure that delicate, sensitive, and/or large items make it to their new destination in the same condition that they are in when they leave your existing home. Never assume that these services are included in basic moving charges. A good moving company will consider the items that you have to move, the special requirements involved, and whether their area of expertise is the right match. No matter how skilled a moving company may appear, there is no substitute for experience. Over the years, an experienced moving company has probably encountered all types of situations and honed their skills to make them top-notch movers that are ready to face any situation with professionalism and a higher level of service that will make your moving experience much less stressful.